As you know we are regular users of R both in BeST and in our other work. 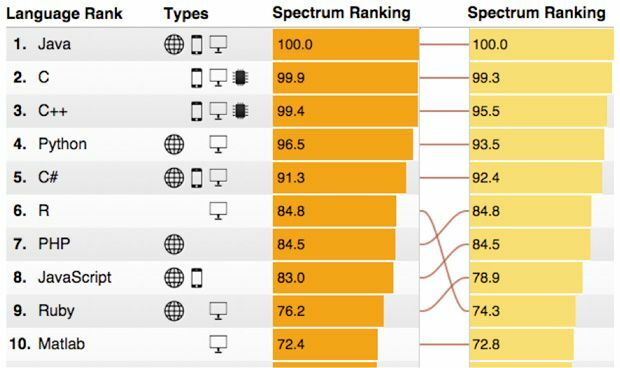 So we were happy to see in the news from the IEEE recently that R is now considered the 6th most popular programming language in 2015. In 2014 R rated 9th, so this is an impressive rise. This further supports our view that R is a valuable and increasingly popular skill to learn. More and more R is being recognised in large companies and in the world as the go to statistical programming language.